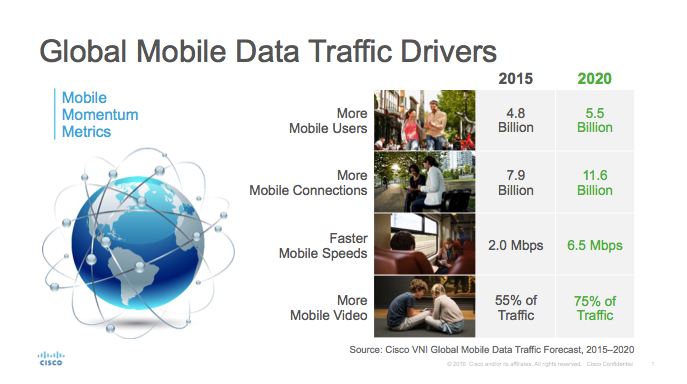 Notice that the number of mobile users is going up by less than 15% in total over the 5 years! So, the growth is not in the users (which I already mentioned in an earlier article) but in the way they will be using the mobile Internet. Somebody needs to buy a lot of hard drives to store this data… Should be good news for Seagate and WDC ;). 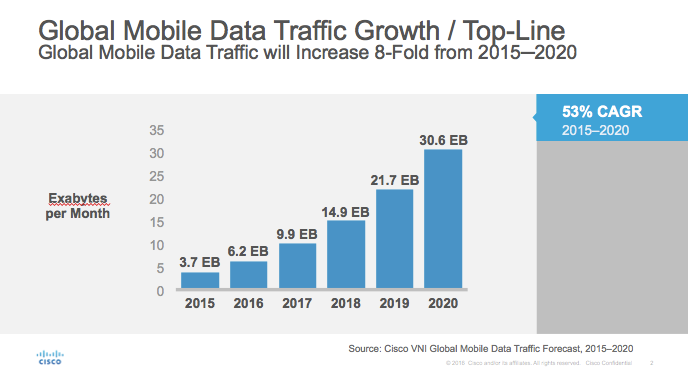 This entry was posted in Cloud technology, computing, storage, data, Computers, Data Analysis and Visualization, Past, present, and future and tagged Mobile Data Traffic, Mobile Data Traffic CAGR, Mobile Data Traffic drivers, Mobile Data Traffic volumes. Bookmark the permalink.